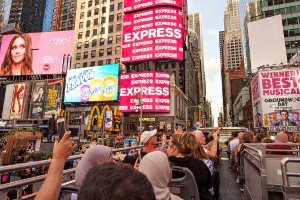 Known as “The City that Never Sleeps,” this NYC Sightseeing Night Tour allows you to experience the magnificence of New York City’s glittering lights. 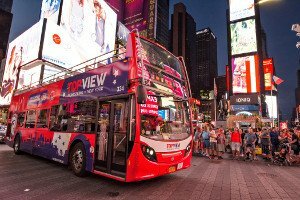 From your seat on a double decker bus, you’ll start the tour under the brilliant electric glow of Times Square before passing the Empire State Building, Greenwich Village, Chinatown, and Little Italy. While you traverse the harbor to and from Brooklyn, you’ll be able to admire the sweeping architecture of the Brooklyn Bridge and enjoy the breathtaking glow of the Manhattan skyline. Then, you’ll pass the United Nations, the Chrysler Building, and Grand Central Terminal before returning to the dazzling lights of Times Square. 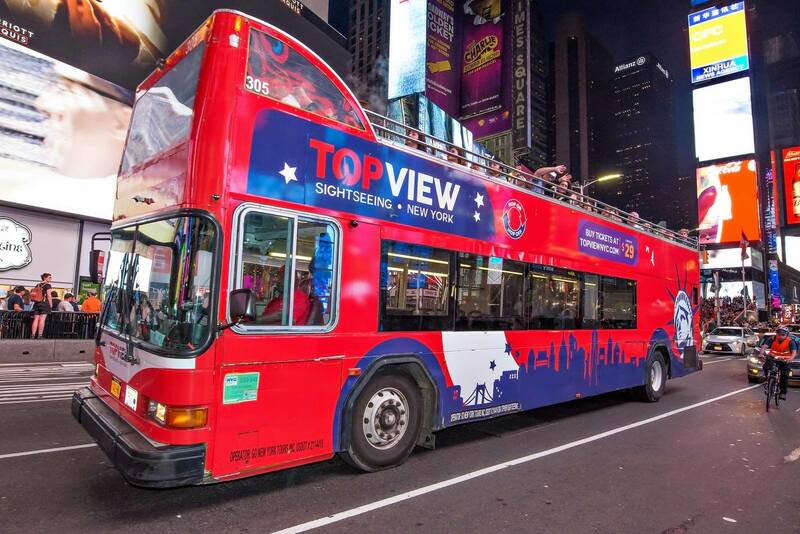 This NYC Sightseeing Night Tour allows you to create lasting memories and see the city in a unique and incredible way. 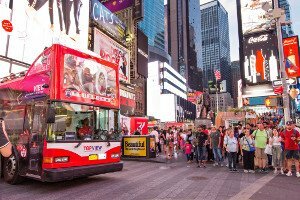 Known as “The City That Never Sleeps,” you haven’t truly seen New York until you experience the dazzling glow of the city’s millions of glittering lights. 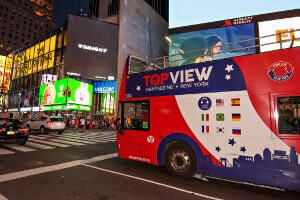 From your seat upon a double decker bus, you’ll take in the breathtaking beauty of Times Square before travelling down 5th Avenue to the Empire State Building, Greenwich Village, Chinatown, and Little Italy. As you cross the harbor to and from Brooklyn, you’ll be able to enjoy the splendor of the Brooklyn Bridge and Manhattan’s towering skyline, both aglow in the night air. 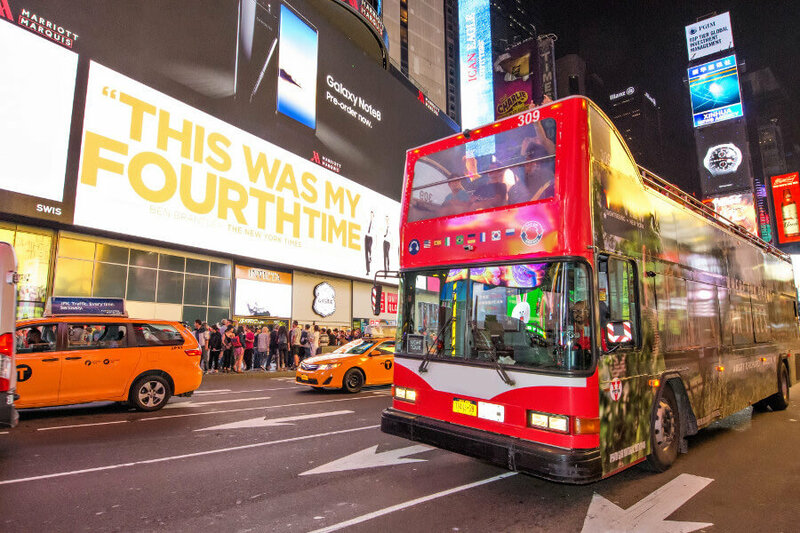 Finally, you’ll pass New York’s iconic United Nations building, Chrysler Building, and Grand Central Terminal before returning to the dazzling lights of Times Square. 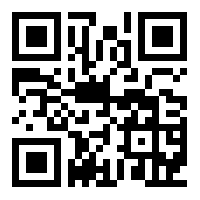 Experience New York in a different way by booking a memorable trip on this thrilling Night Tour.